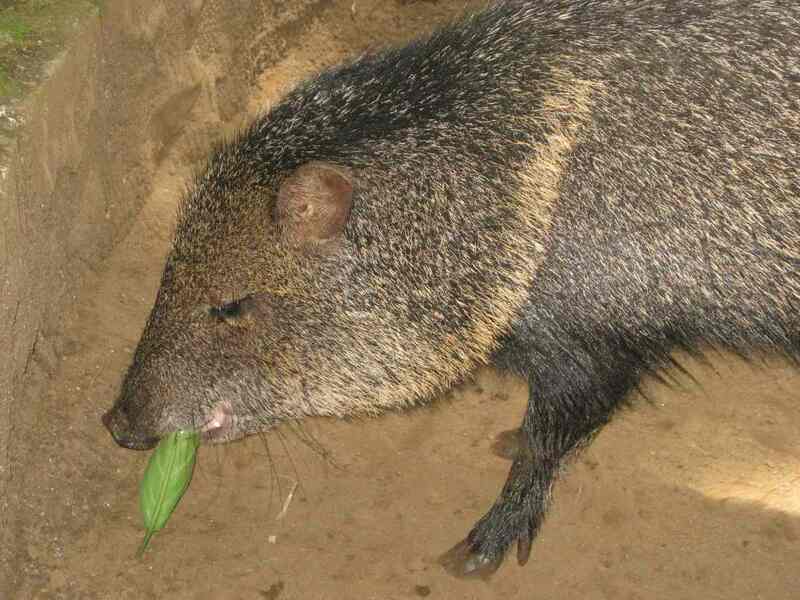 This is GUAPA , the peccary. 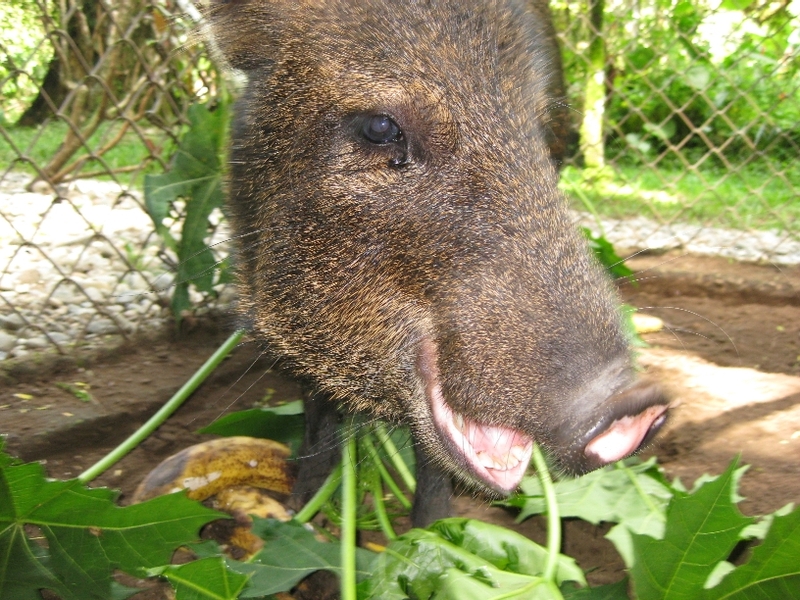 Peccaries are aggressive enough in temperament that they cannot be domesticated as they are likely to injure humans. They have razor-sharp teeth and tusks and can cause damage. Guapa was living with people but like all wild animals they don't make good pets !! This is GUMBA , the peccary. Gumba grew up in a house around the city of Limon. The family where Gumba grew up took good care of him, but when they couldn’t stand his smell anymore he was brought to Tree of Life Wildlife Rescue Center. 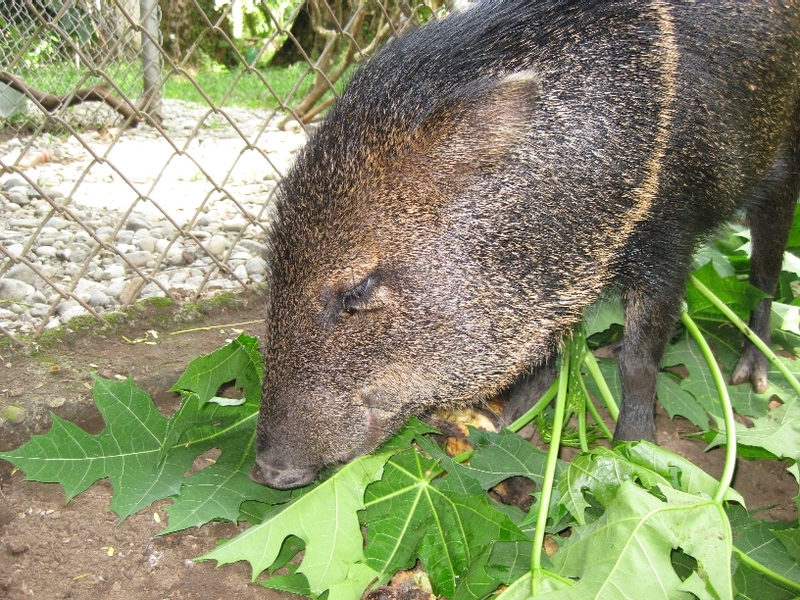 Peccaries depend on sounds and odors to stay close to one another. A peccary scent is strong. The odor comes from fluid sprayed by a gland. The musky, sweaty odor can linger for hours. 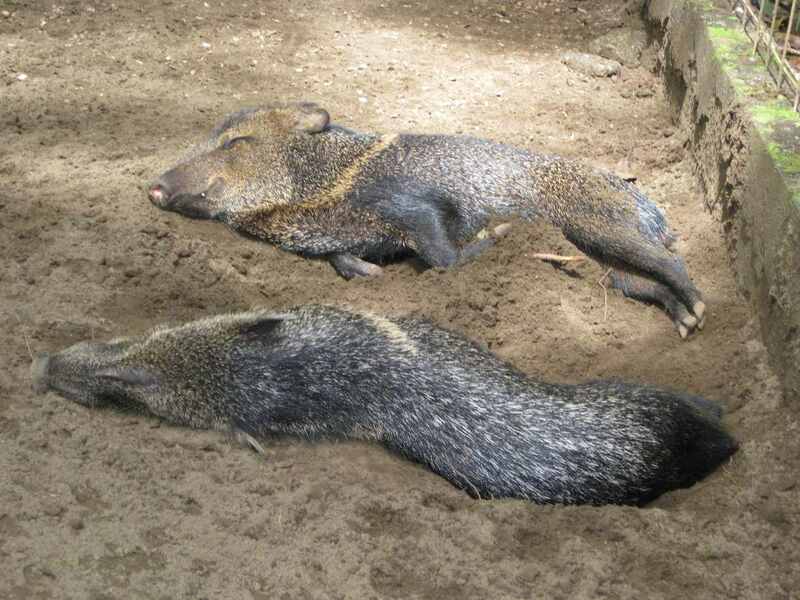 Peccaries live in herds containing from a few to 30 individuals. They are hunted for their meat and hides.